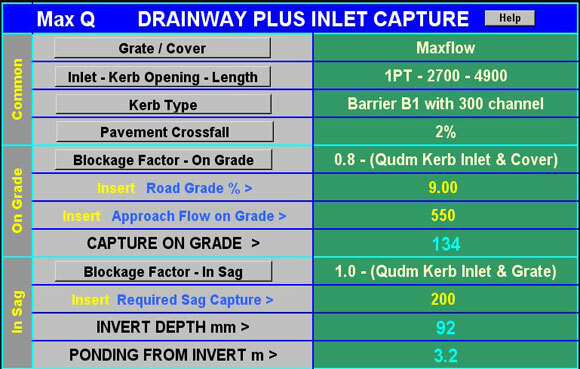 Capture for Drainway Plus inlets is built into most system design programs. This interactive program permits designers to check capture at individual inlets for selected grate type, lintel length, type of kerb, pavement crossfall and blockage factor followed by input of the road grade and approach flow. The program then displays the inlet capture for those conditions. 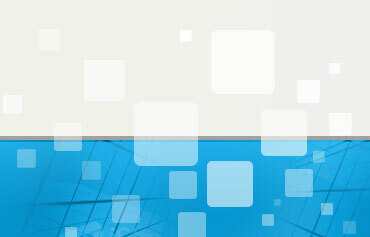 In sags after selection of the blockage factor and input of the required capture, the program displays the depth of ponding at the invert and width of ponding measured from the channel invert.